It was explosive testimony at the New York corruption trial of a Turkish bank executive. 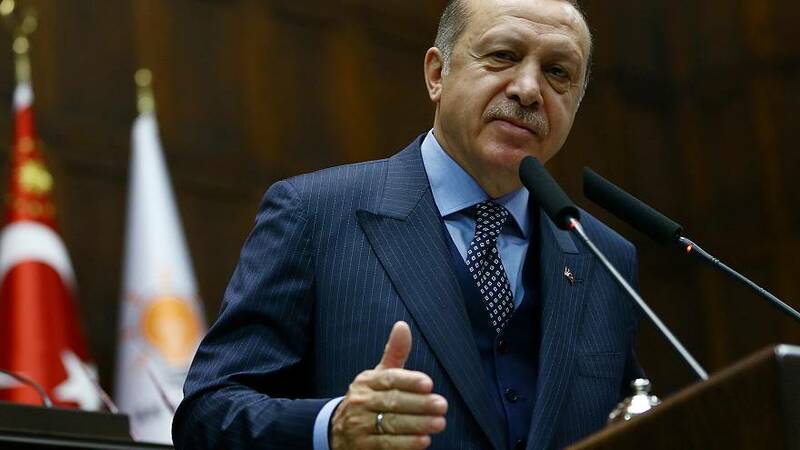 The prosecution's star witness, gold trader Reza Zarrab, said on Thursday that Turkey's President Recep Tayyip Erdogan personally authorised a transaction in a scheme to help Iran evade US sanctions. Turkish media says Erdogan, prime minister at the time of the alleged conspiracy, denies any such violation by his country, insisiting it "did the right thing" in dealing with Tehran. A spokesman for Erdogan's government has called the case a "plot against Turkey". Zarrab told the court he learned that Erdogan and then-treasury minister Ali Babacan had signed off on the transaction. The information came, he said, from then economy minister Zafer Caglayan, to whom Zarrab said he paid millions of dollars in bribes to further the scheme. His evidence has implicated other former Turkish ministers and despite denials of wrongdoing the scandal has strained US-Turkish ties. After pleading guilty in the case, Turkish-Iranian Zarrab is cooperating with US prosecutors in the trial of Mehmet Hakan Atilla, an executive at Turkey's state-owned Halkbank. Atilla denies helping to launder money for Iran. Four years ago, Turkish police first uncovered the alleged sanctions-busting scheme. Zarrab and a number of ministers' sons were among dozens detained then released without charge. The inquiry was dropped after the Erdogan administration said it had been politically motivated. At the time, the corruption claims led to calls for the Turkish government to resign. United States prosecutors have charged nine people in the case with conspiring to help Iran evade sanctions, although only Zarrab, 34, and Atilla, 47, have been arrested by US authorities. Zarrab has told jurors that he helped Iran use funds deposited at Halkbank to buy gold, which was smuggled to Dubai and sold for cash. On Thursday, he said that he had to stop the gold trades and start moving money through fake food purchases instead in 2013, after US sanctions changed.